Just to let you all know that Imagination Crafts are in the area of Burgess Hill, West Sussex. Sue and Harvey are having a demo weekend at Glitter Pot, Burgess Hill today and tomorrow. If you are in the area why not pop along and say hello! There are lots to see and do and of course there will be lots of crafty goodies to buy. There is no need to book just turn up. Have fun and have a crafty weekend. 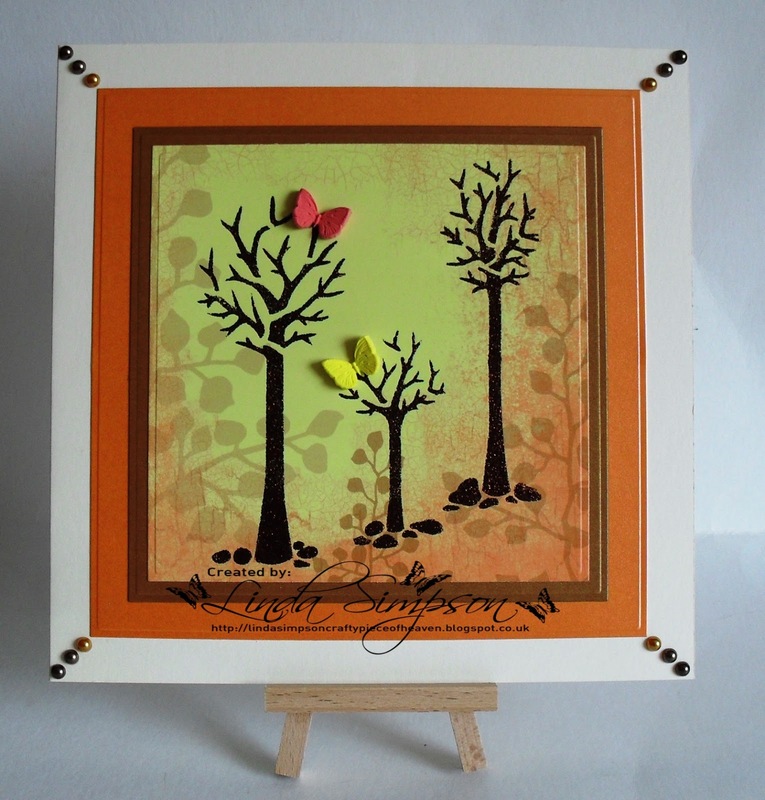 I am attaching another of my cards for you to see. 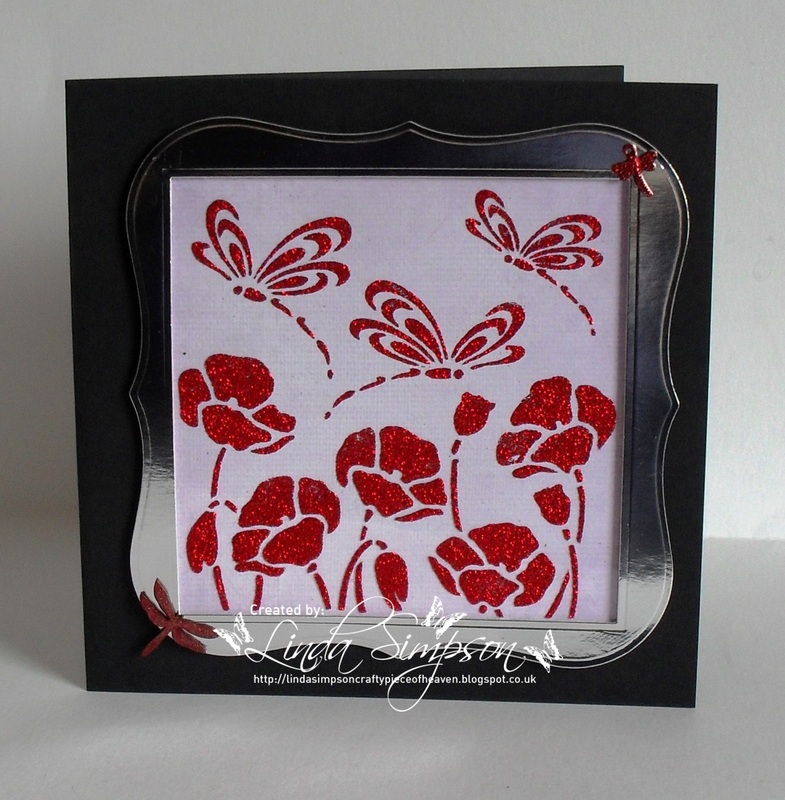 I love poppies and when Sue gave me this stencil I of course had to use Sparkle Medium Bright Red! 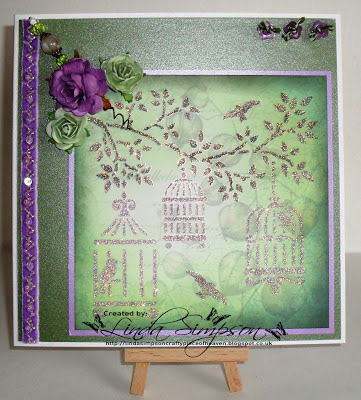 Today I would like to share with you a couple of cards I have made using Three Trees and Bird Cages Stencils along with Sparkle Medium. I just love these masks and especially the variety of colours available in the medium. I have used Glossy Patterned Card designed by Lavinia Stamps for Imagination Crafts. All the products I have used can be found on the Imagination Crafts Website. We have exciting times ahead here at Imagination Crafts, one of them being the exciting news of starting our own challenge blog. We are therefore looking for 6 design team members. 2. We require you to make 2 projects a month, one will be for when the challenges goes live and the second will be posted halfway through the challenge for inspiration. Our challenges will be monthly. 5. Promote Imagination Crafts on your blog. Are you interested in joining our team? If you are, we would like you to make a sample using Imagination Products, photograph the sample (about 2 good photographs from different angles) and email them to Linda along with a small paragraph about yourself and the link to your blog. Please put as the subject header in your email Imagination Crafts DT Call. The closing date is 12 noon on Monday 3rd June 2013. The successful candidates will be emailed by Friday 7th June 2013. Good luck, and we look forward to seeing your applications.